The crew of a space station lose contact with earth. In 2008 a mysterious teaser trailer involving the Statue of Liberty's dismembered head being hurled down a Manhattan thoroughfare by an unseen presence appeared on YouTube. 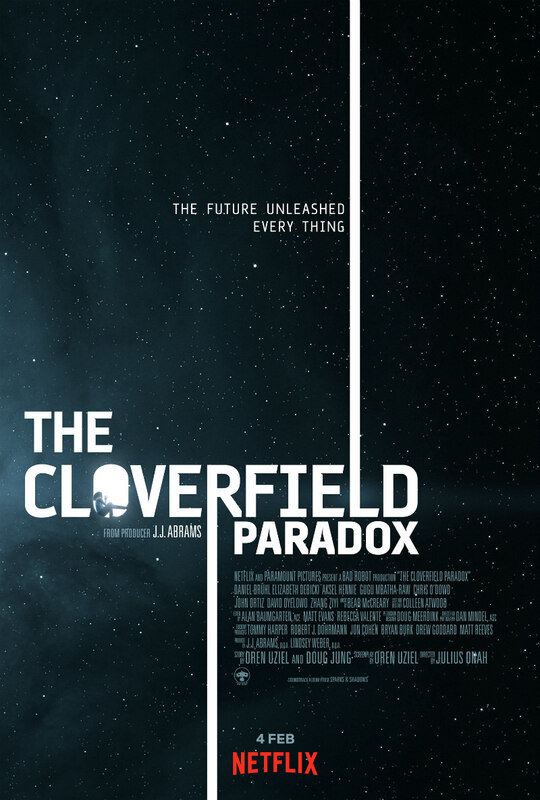 The film that benefitted from that clever viral campaign, which also involved innovative use of fake MySpace profiles for its cast of characters, was the JJ Abrams produced, Matt Reeves directed Cloverfield. The movie itself was something of an anti-climax, a found footage mashup of Godzilla and Miracle Mile, but immediately speculation regarding a sequel began to emerge. That sequel arrived in 2016, taking the internet by surprise when a trailer emerged out of the blue for 10 Cloverfield Lane. Directed by Dan Trachtenberg and featuring knockout performances by John Goodman and Mary Elizabeth Winstead, it won over critics and audiences, though many (including this writer) argued that the Cloverfield label ruined the surprise element of its third act twist. No time was wasted in announcing a third Cloverfield movie, known for a long time under its working title 'God Particle'. 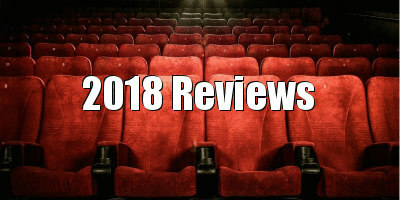 Speculation had been rife as to whether it would be subjected to another novel marketing campaign, and a few weeks ago news emerged that the film would skip cinemas and go straight to Netflix, never a good omen. The marketing twist this time came on the evening of February 4th, when a trailer aired on US TV after the Superbowl, announcing that the film was now available to stream. In recent years a pattern has developed whereby I find myself getting angry that an anticipated movie has been snatched by Netflix, who at this point seem to have all but given up on the theatrical model, only to end up realising that said movie was too poor to justify a cinema release. That trend continues with The Cloverfield Paradox, a space slog that rips off a half dozen better sci-fi movies, including some from the last couple of years. Set in the near future, the movie posits an energy crisis set to lead the earth to ruin within five years. As a solution, the world's space agencies have developed a particle accelerator aboard the Cloverfield space station. In theory, the accelerator will provide enough energy to power the globe, but its critics claim it runs the risk of opening up alien dimensions, or sucking the universe into a great vacuum. After a couple of years of failed attempts, the crew of the Cloverfield get the accelerator up and running, but it overloads, resulting in the apparent disappearance of the earth. When an unknown woman (Elizabeth Debicki) appears on the station, claiming she is part of its crew, it becomes apparent that two alternate dimensions have folded in on themselves. The premise is very much of the 'hard sci-fi' variety, but don't expect an intelligent genre piece along the lines of Denis Villeneuve's Arrival, which this film borrows heavily from. The Cloverfield Paradox has more in common with the many Alien knock-offs that emerged in the early '80s (most of which also went straight to video), and it always feels like it's about to turn into a monster movie, particularly given its Cloverfield label. Instead we get something closer to a loose remake of Danny Boyle's Sunshine, a movie that sets up a heady premise only to evolve into a slasher on a space station thriller once it runs out of ideas. A subplot involving the earthbound husband (Roger Davies) of one of the crew members (Gugu Mbatha-Raw) initially seems set to tie this film into its two predecessors, but ultimately leads nowhere. The central premise of The Cloverfield Paradox may have worked better as a Star Trek instalment, ironic given Abrams' involvement in both franchises. At least then we would have had some recognisable and charismatic characters to carry us through the techno-babble heavy plot. The characters we're presented with here would be interchangeable were it not for the diverse flags on their sleeves, and the film can't decide who its protagonist is. Raw's British scientist is set up as the audience's entry point, only to disappear from large chunks of the film. David Oyelowo is somnambulic as the station's ineffectual captain. Aksel Hennie continues the annoying trend of Scandinavians cast as Russians in a role that once again proffers the offensive sinister Slav stereotype. Chris O'Dowd is the Irish comic relief, while Daniel Brühl, Zhang Ziyi and John Ortiz are here merely to pad out the diversity quota. 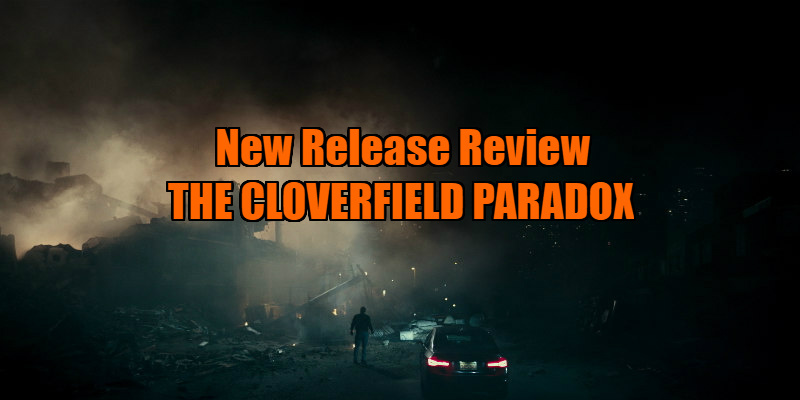 Some have called the surprise release of The Cloverfield Paradox a game changer. If that's true, it's bad news for the game. Anyone who forked out for a cinema ticket for this mess would likely have felt ripped off, but regardless of quality, a movie being denied a theatrical release isn't something for cinephiles to celebrate. My sympathies are with director Julius Onah and cinematographer Dan Mindel, who composed their images for a cinema screen (evidenced by how difficult the text message received by Davies' character are to read), not to be viewed on a smartphone on the number 50 bus in rush hour. The Cloverfield Paradox is on Netflix now.